Members of the Shasta County Commission on Aging (SCCOA) visited the Burney Senior Center on November 20th. The commissioners came to tour the facility and see some of their activities. 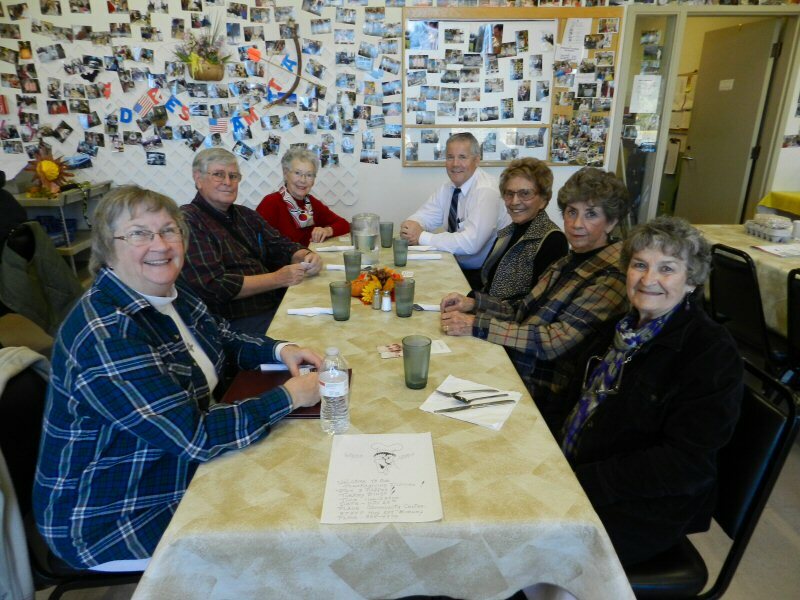 Afterwards, they were joined by District 3 County Supervisor Pam Giaccomini for lunch. One of the supervisors said she was very impressed with the activities of the Senior Center. Supervisor Giacomini said that this was the first time the commission as a whole had come to visit the Burney Senior Center. One of the people at the table I was sitting at said he wanted do be sure that the Commission knew how much we appreciated the work that Bill Shannon does at the center. In compliance with the Older Americans Act of 1965 (OAA), California is divided into 33 Planning and Service Areas (PSA) to oversee the administration of services to senior citizens. Shasta County is part of PSA 2. Shasta County has 8 commissioners. Each member of the Board of Supervisors appoints a commissioner to represent their district. There are five districts. In addition, three cities in Shasta County each appoint one commissioner, making a total of 8 commissioners all together. The commission meets at 10 a.m. every 3rd Friday of the month at the Shasta County Administration Center. 1450 Court Street, Room 311, in Redding. The public is welcome to attend. Members of the Commission are available to provide information, receive suggestions and hear concerns from Shasta County senior citizens and organizations who serve them. By the way, lunch was delicious — meat loaf and brussel sprouts. During lunch representatives from the Burney Fire Department were there for people to have their blood pressure checked.